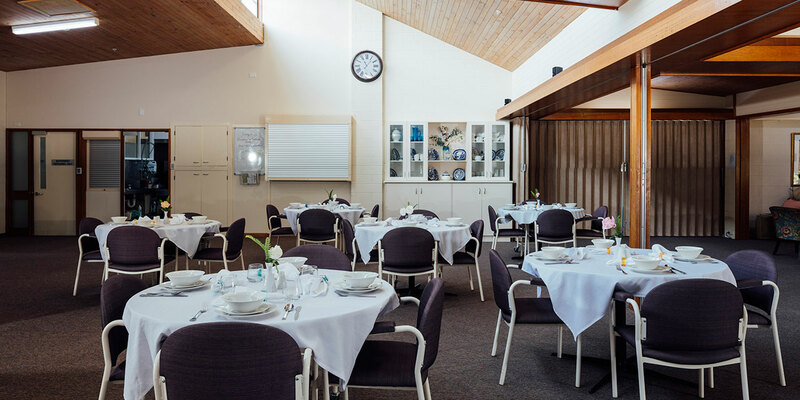 Baptcare Northaven Community is a close-knit residential aged care community in the heart of Kerang that has been a home for older people in the local area since the 1970s. With a committed volunteer network and ties to many community groups, Northaven has a strong connection to the local community. Our beautiful gardens and courtyards are a standout feature, and many of our residents who are keen gardeners love to get involved and tend to their own garden areas. At Northaven, our residents’ friends and families are an important and valued part of our extended community, and we welcome visitors to spend time in our lovely shared spaces or join in with activities when they visit. To find out more about Northaven, view the tabs below. Or to see for yourself what life is like at Baptcare Northaven Community, book a tour with one of our friendly site managers. Baptcare Northaven Community is driven by the strong community values of the local area. Not only does Northaven give older people the opportunity to stay in the region, we also support and encourage our residents to maintain their connection with the community through participation in various activities and events in the area. Conveniently located on the corner of Shadforth and tree-lined Wattle Street, our residents can easily visit the town’s shops and parks, and stay socially connected and independent. 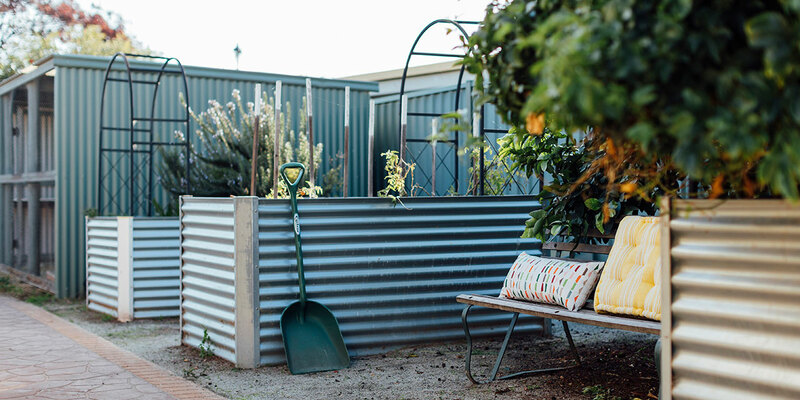 We see Northaven as an important part of the Kerang community, and we connect with local groups and organisations to help provide a full life for our residents. Northaven is a light and spacious building with lovely outdoor areas. The building was originally a hospital, which has been updated to ensure that residents have many different places to spend their time, in addition to their spacious private rooms. Our courtyard BBQ area is a popular spot for family occasions in the warmer months, and fireplaces in the lounge areas ensure that there is always a cosy spot during winter. For quieter times, there are comfortable seats overlooking the outdoor landscape, which are a perfect place for reading or reflection. 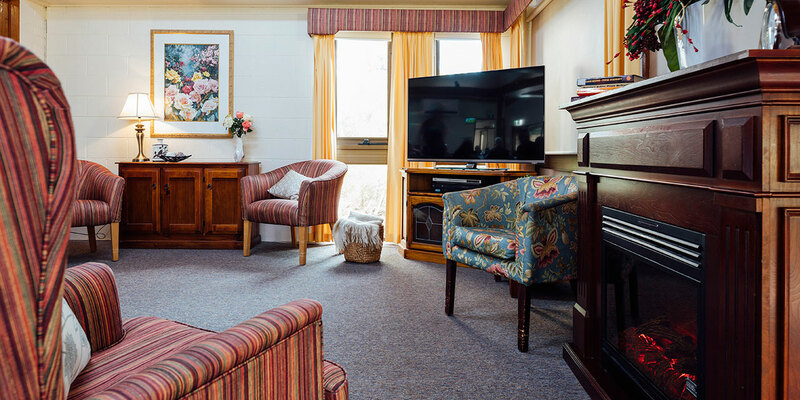 At Northaven, we have adopted the use of several aged care innovations for the benefit of our residents. One example is our memory support unit. This is a small and special 10-bed unit with a ‘homely feel’, designed to cater to the specific needs of residents living with dementia. The design of the unit makes people with dementia feel more at home, and residents are encouraged to take part in everyday tasks (e.g. washing and other chores), which helps them cope with memory loss and promotes their independence. We also offer residents brain trainer exercises, via iPads, to help maintain active minds and encourage learning. Rooms are equipped with additional features that help to make residents more comfortable and independent, such as Hi-Lo beds. At Northaven, we cater for all levels of care requirements (low to high). The community has 56 rooms, 10 of which are in the memory support unit. Rooms are light-filled and spacious with pleasant views, and all have easy access to our lovely garden areas. With a number of large, comfortable shared areas, both indoors and outside, residents have many places to enjoy time with other residents or friends and family. Our community also features a hairdressing salon, chapel and laundry services. The rooms at Northaven can be private and sole-occupied, or shared by couples. See the pricing snapshot for full details. Residents’ suites are their own personal space. We invite residents to decorate their room with photographs, paintings or their favourite quilt. We try our best to accommodate couples by offering shared or adjacent rooms whenever possible. Residents are welcome to have their pets live with them at Northaven. Pets are also very welcome to visit at any time. 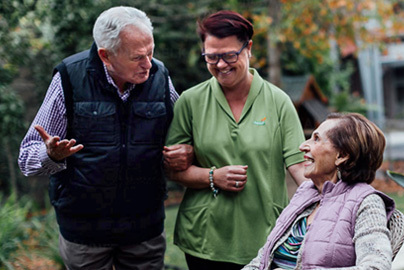 Northaven is accredited to provide all levels of residential aged care (low to high), as well as respite care and end-of-life (palliative) care. 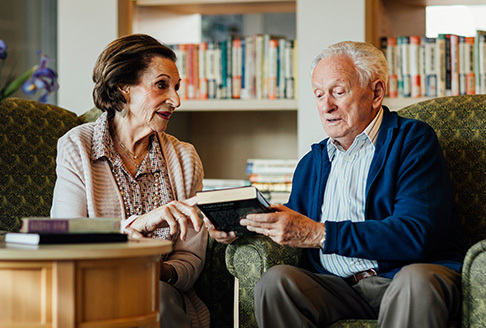 This wide range of capabilities allows us to provide ‘ageing-in-place’, meaning that residents can stay at Northaven even if their health changes or their needs increase. 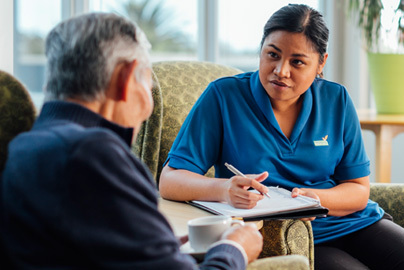 Our staff make it their priority to fully understand each resident’s individual requirements so they can tailor the care they provide accordingly. Our qualified and experienced staff provide the highest quality of nursing-led care, with registered nurses on-site 24 hours a day, seven days a week. There are two staff members for every 14 residents, and team members are assigned to a specific group of residents to enable continuity of care and ensure that staff represent a constant, familiar presence in our residents’ lives. Multilingual staff are available to meet the needs of residents who are not native English speakers. Northaven has shared services with the local hospital to ensure that residents have continuity of care, and there are GPs and specialists on call for acute clinical issues. Fresh meals, including morning and afternoon tea, are prepared on-site every day by our newly appointed chef and catering team. Dietitians assist all menu planning to ensure that residents’ nutritional needs are met. Most dietary requirements can be catered for (e.g. diabetic-friendly or gluten-free alternatives). We encourage and support residents of Northaven to stay connected to their favourite hobbies and interests. We help enable this by providing a rich and varied lifestyle program, ranging from simple activities such as going out for lunch or a coffee down the street, through to bus outings to local areas and events. We also support residents to join community groups and activities, which helps them maintain their independence and autonomy. Residents who enjoy gardening can tend to their own patch of garden or help out the gardeners if they wish. And those who play musical instruments can do so at the weekly devotion. Northaven’s doors are open to the local community and residents are encouraged to get involved with community groups. This helps to ensure that our residents maintain their interests and are socially connected. We welcome a variety of visitors on most days, such as local school children, kindergarten groups or some of our committed volunteers. We also have partnerships with a number of local community groups, including the senior citizens’ club, the Lions club, the bowling club, Kerang Rotary Club and the Ladies’ Auxiliary. To help make Northaven feel like home, residents’ family and friends are welcome to join us for meals and activities. When family and friends visit Northaven, we encourage them to use our shared spaces to enjoy time with their loved one – whether that be relaxing in one of the lounges or dining rooms, or having a BBQ in the sunshine in our lovely courtyard. There are no restrictions on visiting times, so you can spend time with your loved one at times that suit you and them. For more snapshots of daily life at Northaven, follow Baptcare’s Facebook page. Pastoral care is an important part of life at all Baptcare communities, including Northaven. Our chaplains are available to listen to residents and their families and journey alongside them, whatever their background or situation. We offer emotional and spiritual support, honouring each person’s unique spirituality and how they find meaning and purpose. Our chaplains also assist with prayer, worship, sacraments and other spiritual practices, including regular devotional and church services where appropriate. Our lifestyle program offers a wide range of activities and events to choose from every day. Residents can participate in activities that interest them, at times that suit them. There are daily exercises to keep people active and healthy. And to promote active minds, we host a variety of games such as cards and bingo. We often screen movies and regularly organise bus outings for day trips to local attractions. These activities bring our residents together regularly, which contributes to the strong sense of community at Northaven. Our model of care at Northaven prioritises consistent daily routines that reassure residents and inspire confidence. However, we do encourage residents to try new activities and become actively involved in community life so they can maintain their interests and enjoy a full life. We invite you to see for yourself what life is like at Baptcare Northaven Community. Book a tour online by clicking here or call 13 BAPTCARE (13 22 78) to arrange a time to visit our community.